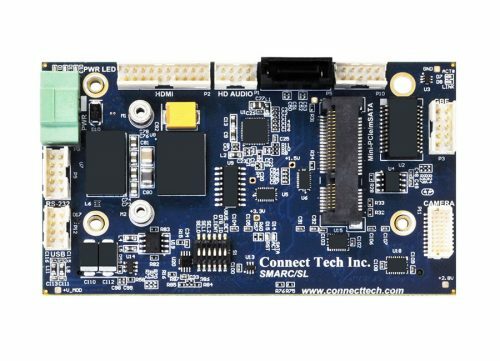 SMARC 2.0 Carrier - Connect Tech Inc.
Connect Tech’s SMARC 2.0 carrier is an extremely small SMARC carrier board ideal for low power IoT applications as users can take advantage of the integrated on-board wireless capabilities found on the SMARC 2.0 modules. 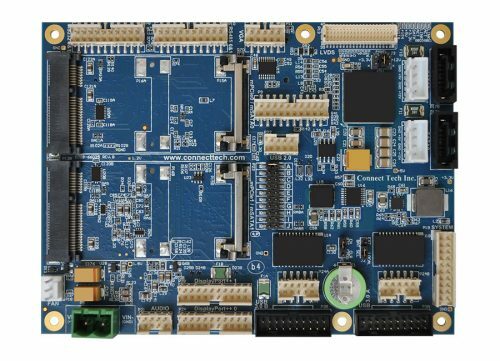 The carrier has USB 3.0, USB 2.0, 2x MIPI CSI-2 camera interfaces, HDMI outputs, and expansion via 2x miniPCIe Full Sized slot. 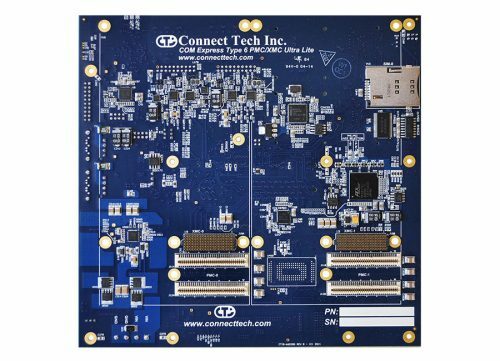 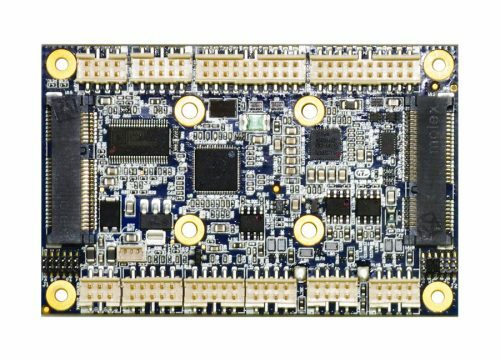 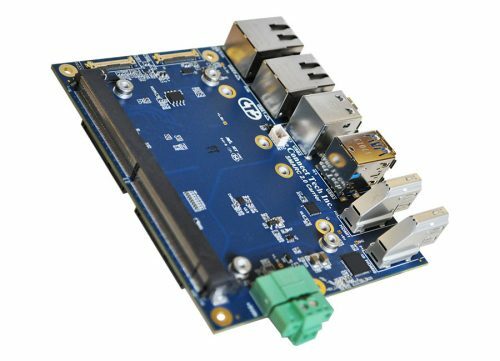 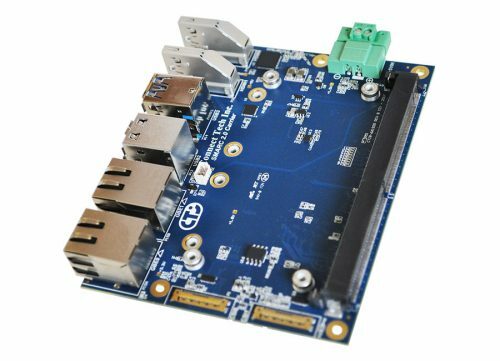 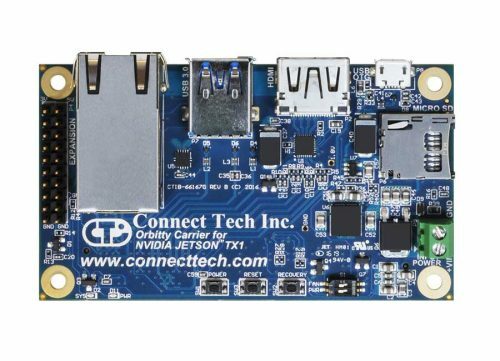 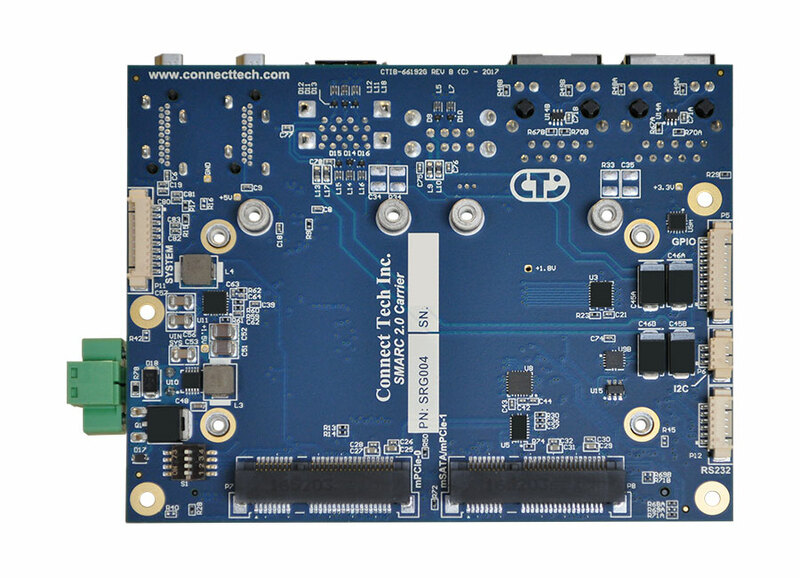 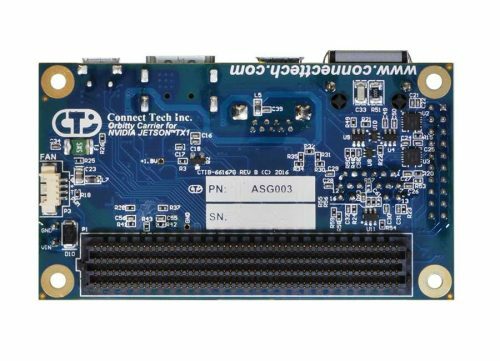 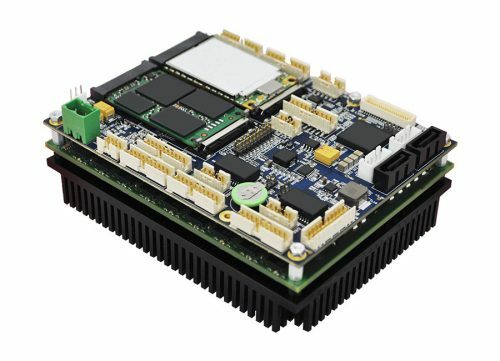 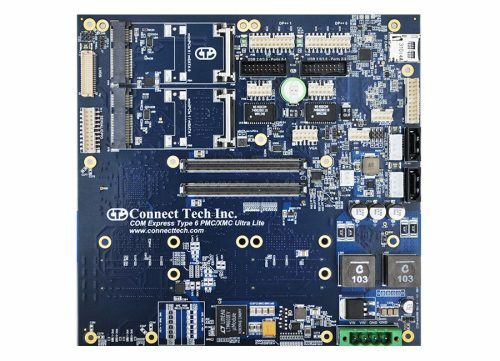 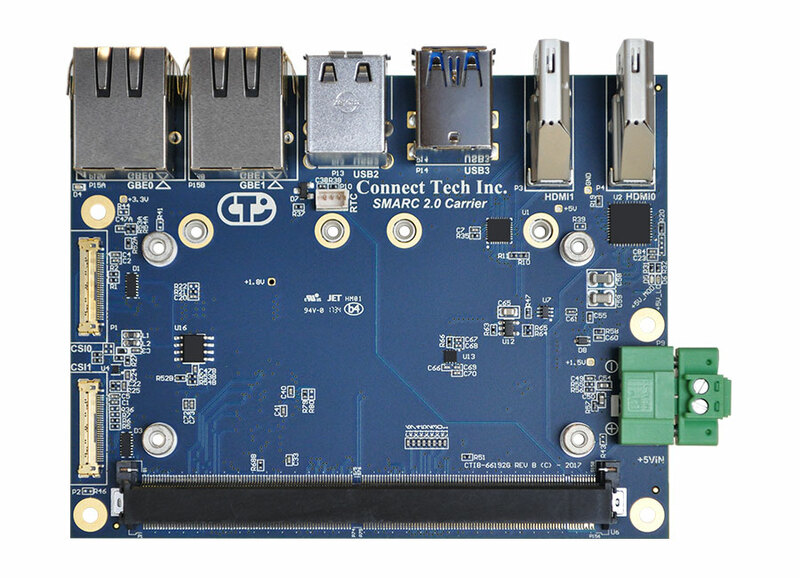 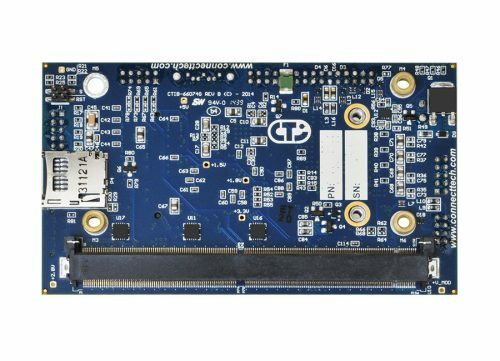 Connect Tech’s SMARC 2.0 carrier board supports the latest generation Apollo Lake x86 low-powered processors and exposes next-generation interconnect (USB 3.0, DDI, MIPI-CSI-2). 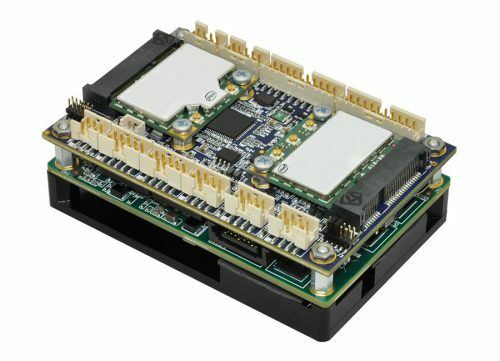 SMARC 2.0 supports an extended temperature range of -40°C to +85°C and offers a very small footprint; ideal for mobile or stationary applications.